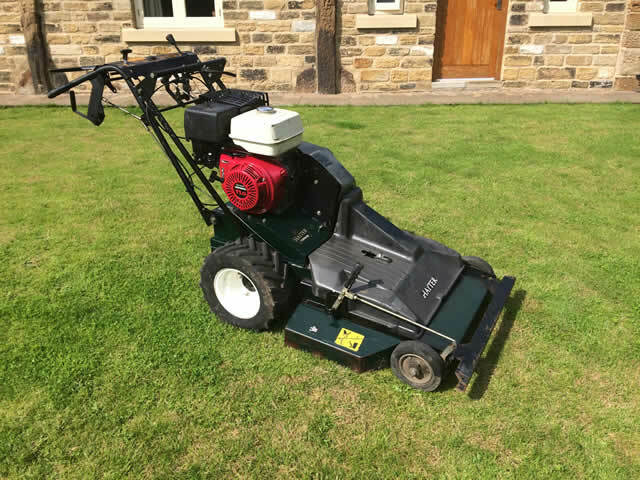 The Hayter Condor has been around for years, the basic design has remained unchanged but over the years some of the better additions include a Honda engine and Hydrostatic drive, this is one of the original pedestrian heavy duty rotary machines and is still a great mower, reliable ergonomic and very capable – available with either cylinder or rotary 30’’ decks – very good fuel economy. 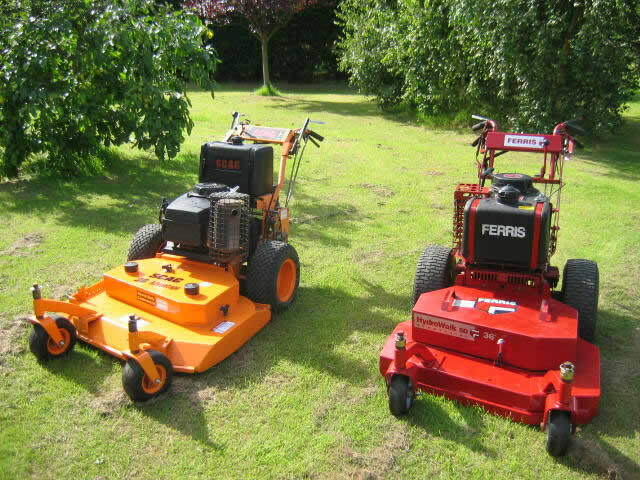 The range of zero turn mowers is vast and varied – we can often find the one you want but it seems unnecessary to mention them all here, they all have independently driven wheels so you can literally turn in a circle on the spot. This makes them extremely manoeuvrable and efficient mowing machines, all zero turn machines are rotary cut, they are mostly pedestrian but there are some very nice ride ons Give us a call to discuss the right type for you.